Former QPR, Fulham, Cardiff and Leyton Orient midfielder Matthew Brazier has died at the age of 42. Brazier, who retired in 2004 after two years at Orient, had suffered from non-Hodgkin's follicular Lymphoma. Brazier came through QPR's academy and scored four goals in 64 appearances for the club between 1995 and 1998. 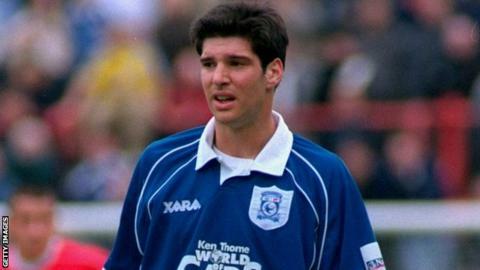 After a season at Fulham, he moved on to Cardiff in the summer of 1999 and helped the Bluebirds win promotion from the fourth tier in 2001. A minute's silence will be held in memory of Brazier and academy analyst Antony Pallett, who died on Sunday aged 31, before QPR's FA Cup fourth-round replay against Portsmouth at Loftus Road on Tuesday.